RBB Mobile Banking allows you to securely view account balances and recent transactions, transfer funds between your accounts, pay your bills, send Popmoney transfers, find branch locations, set up account alerts, and even make mobile deposits...all from the convenience of your mobile device! 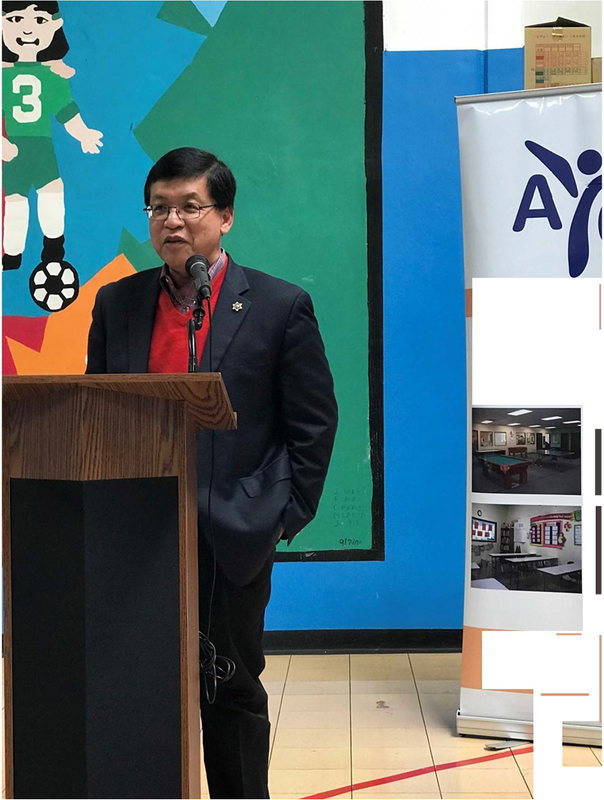 SAN GABRIEL, Calif. – On Friday, December 16, the Asian Youth Center (AYC) a non-profit organization dedicated to empowering low-income, immigrant and at-risk youth through education, employment, and social services, received a $5,000 grant from Royal Business Bank during a press conference. The $5,000 check for AYC’s Youth Employment Services was presented by Simon Pang, Executive Vice President and Chief Strategy Officer of Royal Business Bank. Mr. Pang attributed the success of Royal Business Bank, which opened its doors in 2008 and now has 16 branches, with its dedication to serving the needs of the community, especially the Chinese immigrant community. 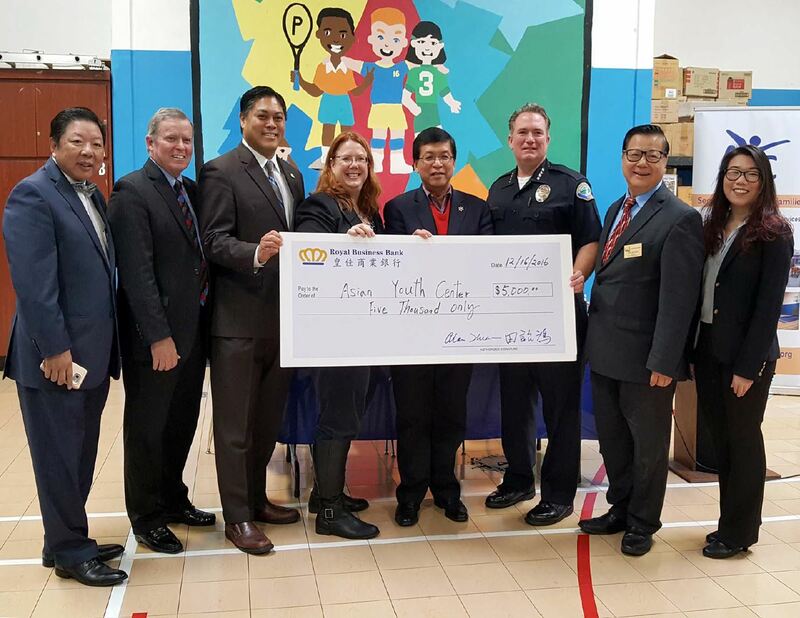 Jim Smith, AYC Board President and Police Chief of Monterey Park, accepted the check on behalf of AYC. AYC announced its Annual Campaign, “English Rules!” which will run until the end of 2016. Verena Kwan, AYC Development Manager, spoke about how English skills are important because it is the foundation of all other learning for youth. The $30,000 fundraising goal of the campaign will help AYC provide intervention tutoring to over 200 youth in 2017. AYC also announced its Installation Dinner which will be held on January 11, 2017 at the Empress Harbor Seafood Restaurant in Monterey Park. The theme is “Double Happiness” to celebrate the merger between Project NEO and AYC. At the event, Helen Romero Shaw will be installed as the AYC Board President, and Mary Wong, Bruce Chen, and Bryan Chau will be installed to the AYC Board. Current President Jim Smith will step down to become the Immediate Past President. 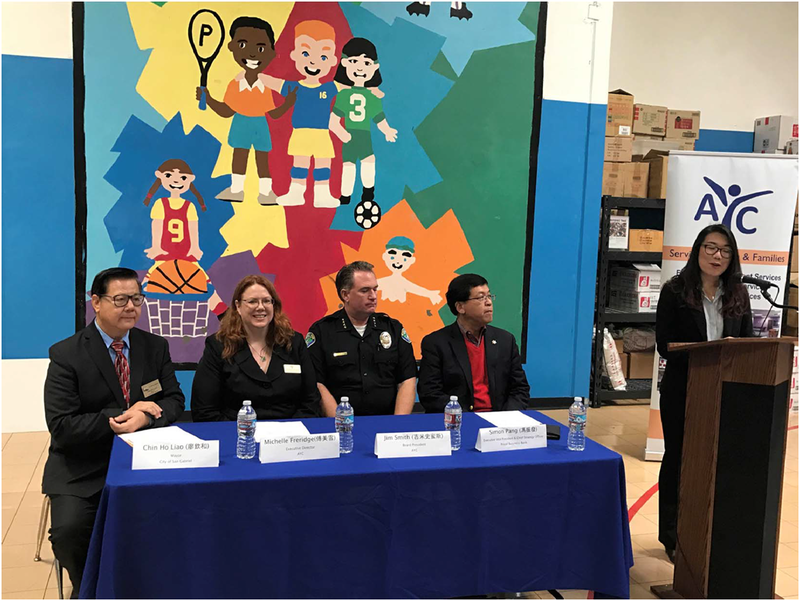 Chin Ho Liao, Mayor of the City of San Gabriel, spoke about the importance of AYC’s programs and commended Royal Business Bank’s commitment to giving back to the community. 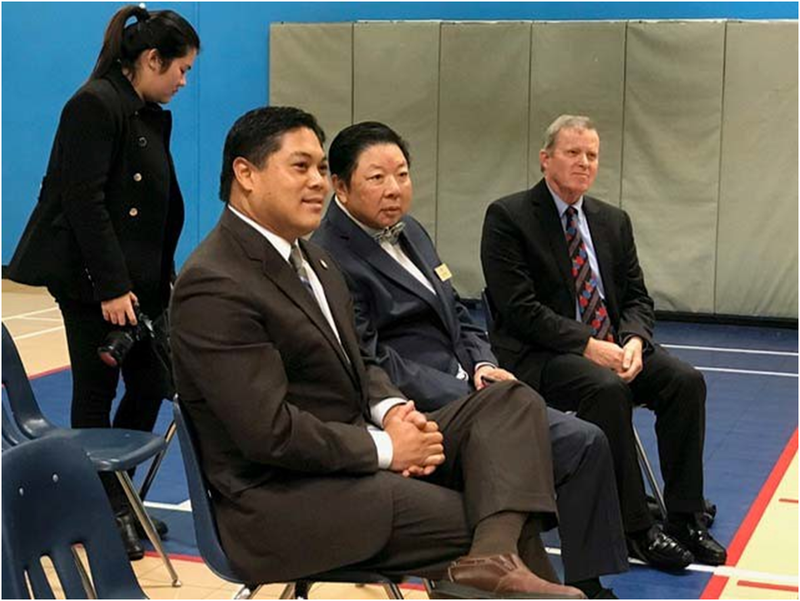 Other special guests included Jason Pu, City of San Gabriel Councilmember; Alan Wong, AYC Board Member; and Keith Thomas, Senior Vice President of Royal Business Bank. Online donations for the “English Rules!” campaign are accepted at http://bit.ly/AYCenglishrules. Founded in 1989, the Asian Youth Center (AYC) exists to empower low-income, immigrant, and at- risk youth and families, of all communities, to overcome barriers to success through the provision of culturally and linguistically competent education, employment, and social services. We help youth succeed in school, at work, and in life! For further questions, please contact AYC’s office at (626) 309- 0425. Written inquiries may be sent to 100 West Clary Ave., San Gabriel, CA 91776 and emails may be directed to admin@asianyouthcenter.org. For additional information, please visit www.asianyouthcenter.org. AYC is a 501(c)(3) organization, EIN #33-0383691. RBB Bancorp is the holding company for Royal Business Bank, which is headquartered in Los Angeles, California. Royal Business Bank, a wholly-owned subsidiary of RBB Bancorp, is a California chartered, FDIC insured, minority owned community bank serving the Asian business communities in and around the Los Angeles and Ventura Counties of California and Las Vegas, Nevada. Royal Business Bank was formed in November 2008 and currently operates sixteen branches located in Arcadia, Alhambra, downtown Los Angeles, Buena Park, Cerritos, City of Industry, Diamond Bar, Monterey Park, Oxnard, Rowland Heights, San Gabriel, Silverlake, Torrance, West Los Angeles, and Westlake Village California; a branch in Las Vegas; and a loan production office in the City of Industry, California. Although the Bank serves all ethnicities, its Board and management team is mostly Chinese-American and the primary marketing focus has been on the Chinese-American communities. Royal Business Bank's business is focused on trade finance, commercial and industrial mortgage and SBA lending with a long-term vision of serving the Asian communities throughout the Western United States. Additional information on Royal Business Bank may be found on its web site: www.royalbusinessbankusa.com.